Car leases are desirable because they typically feature lower monthly payments. 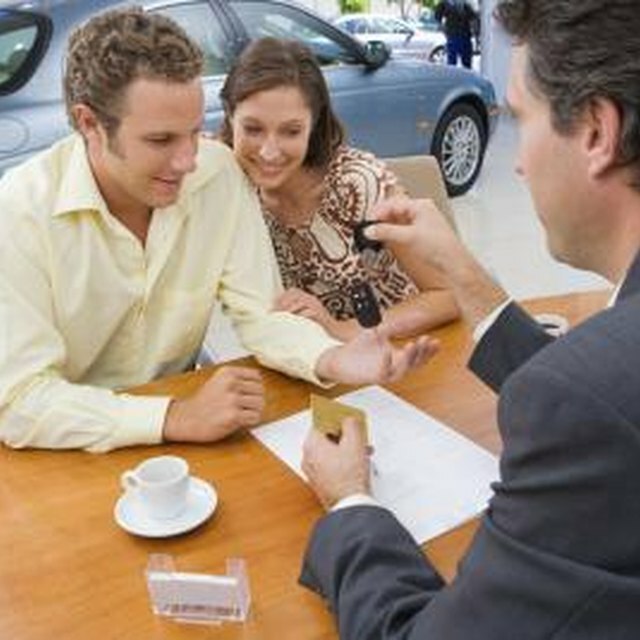 However, several factors determine whether you get a good car lease deal. If you're looking to lease a new car, and you want to get the best car lease, familiarize yourself with the leasing process beforehand. Ask questions and determine whether a lease is right for you. Increase your credit score. To get the best car lease, check your credit report and score before submitting an application. Credit scores impact interest rates. And individuals with lower scores pay a higher finance rate. Improve your credit by paying your bills on time and decreasing your debts. Save money for a down payment. Although leasing companies don't require down payments, having one can persuade a lender to reduce your interest rate, which can lower your lease payments. Save at least 10 to 20 percent of the lease price. Choose a shorter lease term. Shorter lease terms are typically 2 to 3 years. These terms feature a lower interest rate, and they're ideal if you prefer driving a new vehicle every couple of years. Is an Early Car Lease Termination Bad for Your Credit? Purchase additional mileage. If you lease an automobile you receive (on average) 12,000 miles a year. Exceeding the allotted mileage results in additional fees, approximately $.25 per additional mile. To get the best car lease and avoid additional charges, purchase additional mileage from the leasing company. Compare car lease rates. Talk with several leasing companies before applying for a car lease. Auto brokers can connect you with various leasing companies. Request a no-obligation rate quote, compare the offers and choose the leasing company that offers the best car loan deal. Although 2- and 3-year lease terms feature a lower interest rate, monthly payments are slightly higher. To lower your lease payments, choose a 4- or 5-year term.